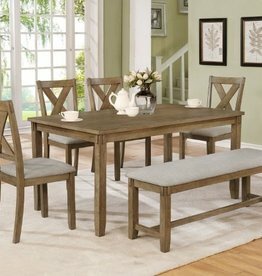 The Quincy table set features a modern tressle-type base with tabacco finish and padded seats. Available in traditional and counter-height options. 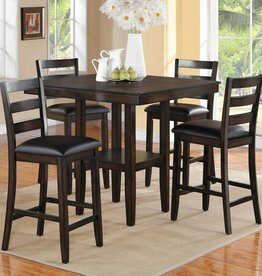 Also available as table w/ 6 chairs instead of chairs and bench, if interested. 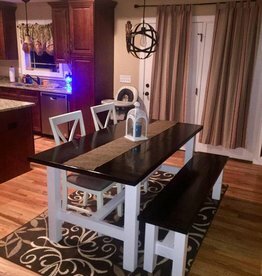 Want to finish off that counter or bar area? The Kipper stool features the popular x-back look with the comfort of a padded swivel seat. 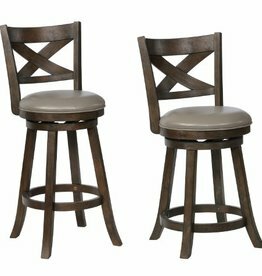 You choose counter-height (24" seat) or bar height (29" seat). 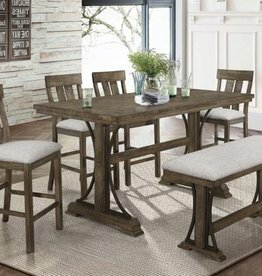 The Clara dining table features the popular cross-back farmhouse chairs with upholstered seats. 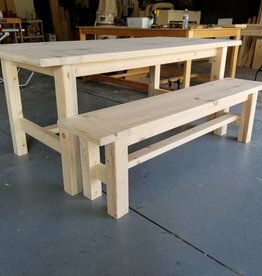 Available in seating for 4 or 6 when you choose to add the optional bench. Dimensions: 60" wide x 35" deep x 30" tall. 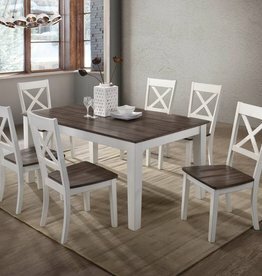 The Quincy table set features a modern tressle-type base with tabacco finish and padded seats. Available in traditional and counter-height options. 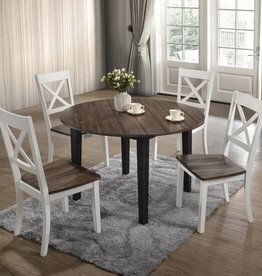 Also available as table 4 chairs and 1 bench, if interested. 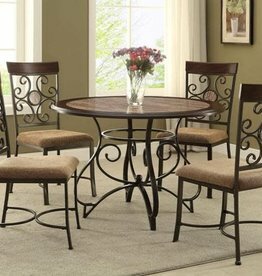 Traditional round metal pedestal base dining table w/ 4 chairs. 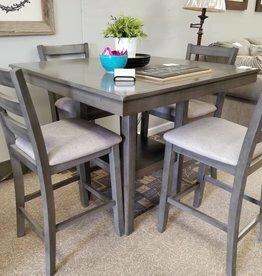 Metal base table w/ wood accents. 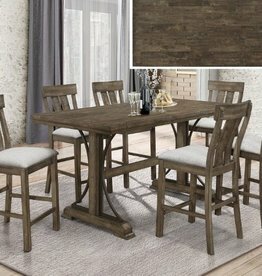 Our custom Farmhouse Table is made of all solid wood. 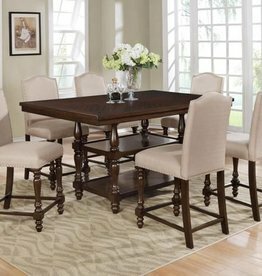 Built to order, please allow 2-3 weeks for unfinished or 4-6 weeks for tables w/ professional stock finish. 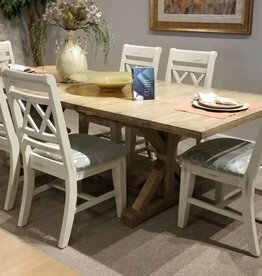 Beautiful dark finish counter-height table with taupe linen chairs. 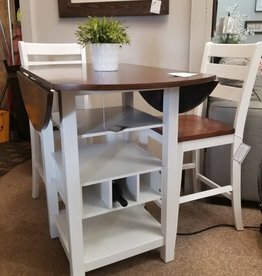 Shelf-pedestal style dining table. 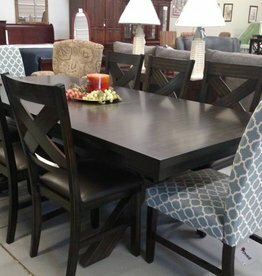 Includes 4 chairs. 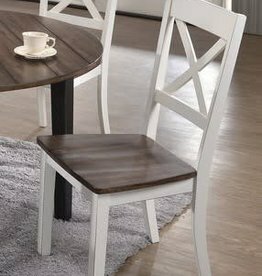 Add 2 more chairs for $195.